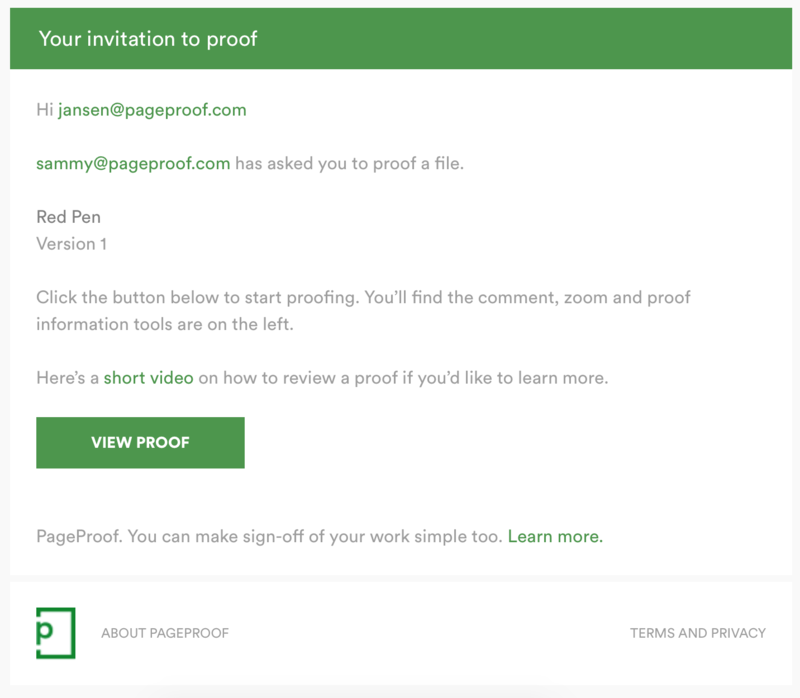 When you invite someone to review your proof in PageProof, you simply add a reviewer to your proof by their email address. There’s no need to set up accounts and passwords for your clients. When your reviewer receives the proof invitation email (which looks like this), all they need to do is click the view proof button. We automatically create an account for your reviewer (with a little bit of magic* from us). As soon as they finish reviewing their first proof, they will be asked via email if they’d like to set a password if they might use different devices or browsers moving forward. *We perform a little magic because it is important that you know who is making comments and approving your work on PageProof, so for that reason we don’t send anonymous links. On every proof in PageProof you can see exactly who is able to see the proof and if links are forwarded, they will not work for someone who is not on the proof.